Geranium Festival – 5/19/2018 – McDonough, GA Facebook Event With more than 300 vendors and attracting more than 25,000 people every year, I’m happy to have a booth for this year’s Geranium Festival. I’ll be in booth H5 along with my cohort Morbid Smile. Author Reading & Signing – 6/28/2018 – Story On The Square Facebook Event Story On The Square Turn down the lights and let in the moonlight, cause werewolves are coming to Story On The Square! Join me for a reading and book signing for my YA Dark Fantasy novella, The She-Wolf of Kanta. Complete with werewolves, hunters, and a strong steampunk aesthetic, this book will leave you wanting to bite into more! Come in your werewolf inspired clothes – or just go full-out werewolf! – for a chance to win a signed author copy, a Story On The Square giftcard, and other goodies! Howling your way June 23 from 11:00 AM to 1:00 PM. Henry County Fireworks – 7/4/2018 – Locust Grove, GA Facebook Event This is the first year for this event, but I was specifically invited to attend. Considering it’s just down the street from us, how could I resist? I love supporting a local group and I’m looking forward to selling & signing books, and watching the fireworks! 2nd Annual Park 42 Fall Festival – 10/13/2018 – Locust Grove, GA Facebook Event Halloween is my favorite time of the year, and I’ll take any excuse to go out and enjoy the Fall festivities. From hay rides to costume contests to pumpkin carving contests, it really doesn’t get better than this! Sure, we’re still hitting the 80s regularly down here in the South, but that doesn’t mean we can’t enjoy the season. 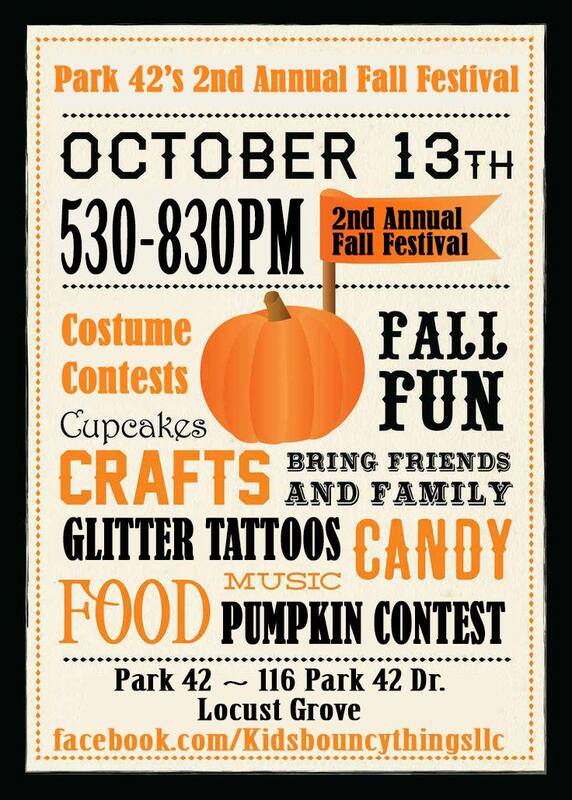 I’ll be there from 5:30-8:30 selling copies of The She-Wolf of Kanta and doing the monster mash.